Battlefield 1941 is modification of the Battlefield 1942. 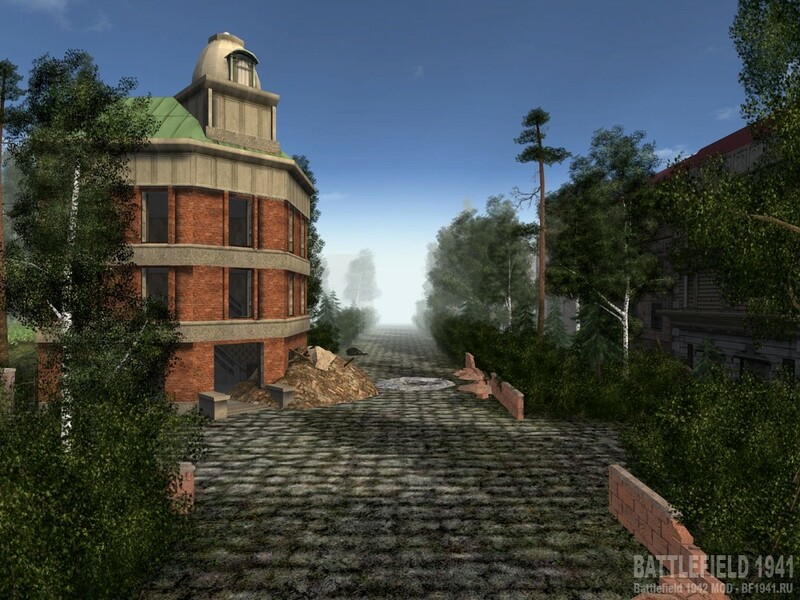 Modification Battlefield 1941 uses approached to historical symbolics of the countries-participants of war, Battlefield 1941 does not advance and does not encourage a crime or idea of Nazism and the Japanese Imperialism. If this game extends in any country where it is illegal represent or to extend any Nazi or imperial symbolics you as the user, take up full legal responsibility and risk, anyhow, connected with use of these files. Before the installation beginning necessarily remove a folders (if they there are): "bf1941", "bf1941RTR", "bf1941UW". They is in a folder with game (...\Battlefield 1942\Mods). that in the original game, although it has undergone some minor changes. changes in the 3D-models, effects and interface. Added and changed some sound effects - gunshots, footsteps, motor vehicles, and more. even with different participating countries. Added a few new maps, including maps, special attention should Senno and Inkerman. containing in this expansion, on 100 % are correct. All events and operations on winter maps in 46 year are completely invented. You guys should mod BF2. Is this the final release or is there 0.3 coming soon? First all my congratulations for the new version of your Mod bf1941 version 0.2. You made (done) an excellent job. For helping people I just have made (done)a very detailed tutorial with many pictures about installation and how get easily a shortcut icon.Please see this link. Note: To read this tutorial in different languages you can use Google chrome.Examples in English and in Russian languages. Thank you very much for your tutorial and for all that you do for this game and the players! Thank you very much, but no problem because it is a great pleasure for me to try to help the players. For me "Battlefield 1942" (Father of all "Battlefield") is the best game of the "Battlefield" series. In 2013 "Battlefield 1942" and "Mods" are still alive thanks to the excellent work of mappers and modders. Unfortunately on most "modern" games (like BF3) mapping and modding became impossible (no-possible) and many of our young players do not know the great Mods of the "Battlefield" series. hi, you are the ******* fat ************ of the serie of tv "the fox"? I just have change (modified) some points in my tutorial because now with BF1941 version 0.2 you can play this excellent Mod without the addons Italy Campain and Secret Weapons of WWII. And "sherries on the cake" you can install bf1941 version 0.2 also with Battlefield 1942 "Origin" version. I give a very easy method to install bf1941 if you have Battlefield 1942 "Origin" version. But you can play online on the server in Russia only if you installed Battlefield 1942 CD version. I have a question please: Can you install server files modified by TUIA SK and others on your server please. because as you know with this server version modified gamers with Battlefield 1942 CD version and gamers with Battlefield 1942 Origin version can play both on server if you install the server files modified par TUIA SK and others. Thank you very much for your future answers (responses). Thank you very much for that. Because now on your server players with BF1942 CD version and players with BF1942 Origin version can play both on your server. When your BF1941 server is not populated (I DO say when there is no player on your server) can I choose a CO-OP map (a map in cooperative mod)? Thank you very much about your future answer (response). Hi all Comrades and for you "MMV"
Thank you very much for that. I tested CO-OP maps on your server. Very good for training when your server is not populated. I hope many of our young players would test your excellent Mod BF1941 also on your servers. Cause as you know many of our young players do not know Battlefield 1942' Mods. Because many of them know only "new games" like BF3 unfortunately no mod-able and not map-able. I think Battlefield 1942 is one of the best EA Game because it is map-able and mod-able. All my congratulations to the BF1941 devs, they do (make) an excellent job. you sre great this mod rocks! hmm , just download , install , try some maps and already disappointed. The 2 sturmtiger replaced by 1 wespe on Eagle nest. My God why. First of all sturmtiger is 1 man vehicle so no 1 else can start moving the dam thing. And the T34 s are also gone from the game. Those vehicles made that map awesome....Sad to see on some SW maps, the Allied Assault is still forced to fight with most rubbish weapon BAR. Now even on Essen. On some maps the throwing knives have been removed. ANd the SW planes? Gone. They are ppl s favorite. I have a server running this mod right now. Map rotation are maps from "Road to Rome" and "Secret Weapons of WW2".